Our Spring Break and Easter programme from 18th March – 22nd April includes fabulous activities such as a Veranda Tea Party at the Cotton House, children’s tennis and sailing camps, film nights, beach picnics and evening barbecue parties. 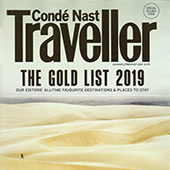 We are thrilled to have been listed in the prestigious Conde Nast Traveller 2019 Gold List, the editor’s top all time 50 favourite hotels in the world. Contact reservations@cottonhouse.net to book now. 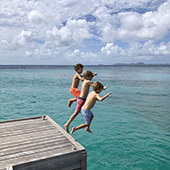 Take a tour of the iconic Cotton House Estate and enjoy a bird’s eye view of Mustique’s only boutique hotel. Set amongst expansive gardens sweeping down to Endeavour Bay, home to the Spa, Watersports Centre and Beach Cafe, this is the ultimate private island location.